THE NEWSLETTER OF THE NAPS KENT GROUP. As I put together this newsletter, it looks like we are closing in on spring, I guess this counts as a mild winter certainly we have till now given most of the white stuff the slip. So now, do your plants look like they are starting to wake up, maybe you have given them a little slap on the back with a light feeding of “Epsom Salts”.??? Regards our meetings we have our March meeting on the 7th, with the “Looking after & preparing your plants for show” demonstration, where Colin, points us in the right direction, for keeping the plants healthy and brushing up for the show, for those wanting to have a go at exhibiting, even if you have been to these demonstrations in the past, sometimes refreshing the memory comes in handy. 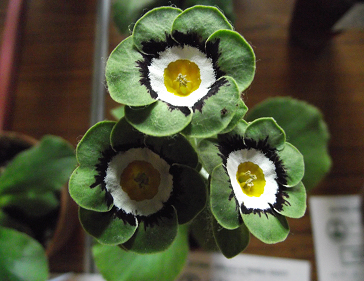 Following that, is a good time to remind members of our 2015 show date of 26th April, don’t be shy with your plants, if you are not sure whether they are up to the job or not, bring them in your car boot, I would be only to happy to try to give you my opinion on whether you should leave them in your car or not, remember we all started off the same way, if you are unsure which class to put your plant, I or one of the other committee members will be there to help you out. A very interesting talk was giving by Emma Davies on the “Walled Garden & Grounds” at Hawkhurst, the history that led up to what it is today, was totally absorbing, there is much work to be done, but the present owners are really devoted to carrying out that work and there is the possibility of getting a financial grant from one of the Garden Magazines by voting, just type in to your computer “Walled Garden = Hawkhurst for details, I have. BEST SELF’S FROM THE 2014 SHOW’S. 1= BRASSO (Y) = 62. 2 = KNIGHTS (R) = 34. 3 = JOEL (V) = 27. 4 = ROYAL MAIL (R) = 23. 5 = APRIL MOON (Y) = 21. 6 = TWIGGY (Y) = 20. 7 = SCORCHER (R) = 16. 8 = CREAM CRACKER (Y) = 16. 9 = BARBARELLA (D) = 14. 10 = SHARON LOUISE (Y) = 13. 11 = EATON DAWN (P) = 12. 12 = NORTHERN BLUE (B) = 11. 13 = EL ZOCO (B) = 9. 14 = CORNTIME (Y) = 9. 15 = SUNNY BROW (Y) = 8. 16 = LADY ZOE (R) = 8. 17 = O’ER THE MOON (Y) = 7. 18 = THAISA (?) = 7. 19 = BRICK LANE (O) = 6. 20 = RED ADMIRAL (R) = 6. This entry was posted on Tuesday, May 24th, 2016 at 2:24 pm	and is filed under Archived information. You can follow any responses to this entry through the RSS 2.0 feed. You can leave a response, or trackback from your own site. Naps Kent Group Archive and Blog is proudly powered by WordPress and The Go Green Blog theme.